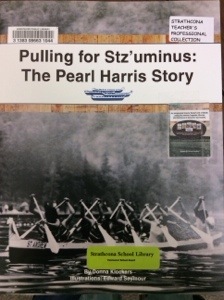 When you walk in the doors of Strathcona School Library, one of the first things you see is the new Discovery Table. 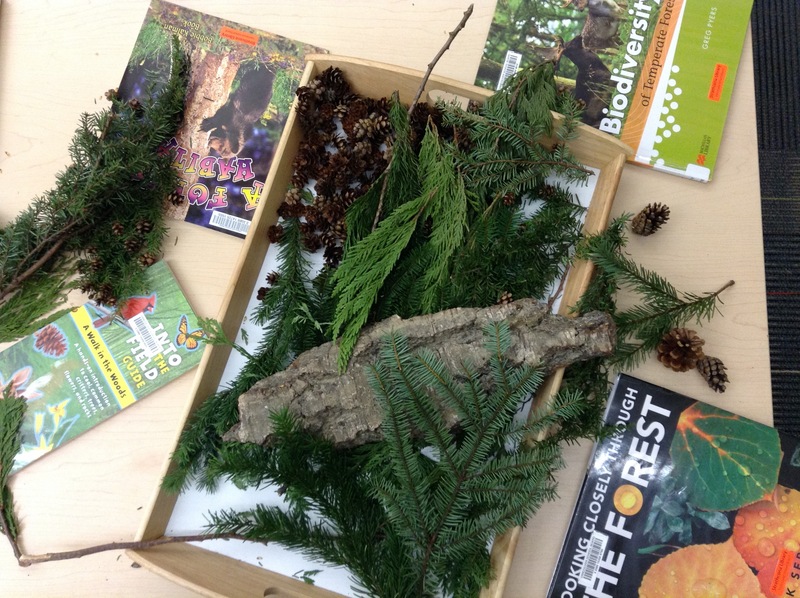 Here students can investigate and explore natural objects with their hands, eyes, and noses. They can use the magnifying glasses and read bits of related books I’ve left there. The Discovery Table is inspired by our wonderful Kindergarten teacher and winner of the 2014 Prime Minister’s Award for Teaching Excellency, Colleen Sturrock’s classroom. 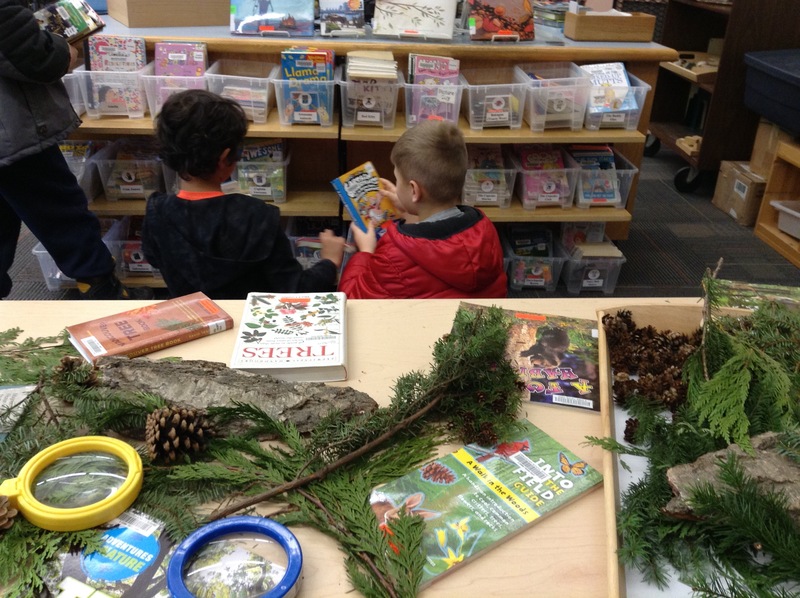 Full of wonderful natural objects, beautifully displayed and arranged to invite children to explore, play, learn and tell stories, Mrs. Sturrock’s classroom is engaging and inspiring place. Tucked to one side of the classroom, is a sand table. Its not just any sand table, though, this one also contains fascinating natural objects such as fresh water drift wood form Pitt Lake, shells, rocks, and pine cones. 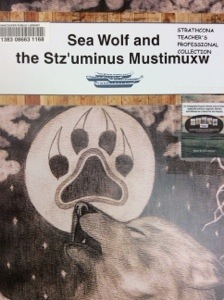 When I saw this sand table, my heart leapt, and my imagination soared. How could I incorporate this into my school library without creating a giant headache for myself? Borrowing some shells, pine cones, and pieces of wood from Mrs. Sturrock, I arranged these objects on a low, natural wood table my mom gave me. A few books and a couple of magnifying glasses completed the table. I was surprised by how interested the children were. Gathering around in small groups of two to five, they explored the objects, picking them up, peering closely, and smelling them. they compare information in the books with the objects on the table. As interested waned, I replaced the natural objects with some simple puzzles and building materials. Kids were thrilled. Changing the materials every so often seems to work well. 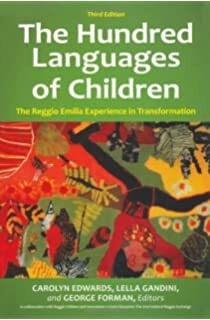 My colleague Annie gave me some evergreen branches with needles and cones that she used for a writing and math provocation inspired by the Reggio method (see book below). 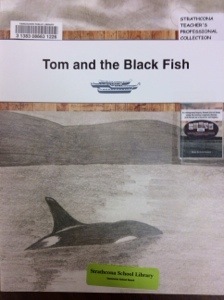 I am inspired by the provocations Annie and Colleen use that invite and inspire children to inquire and express. What’s next? 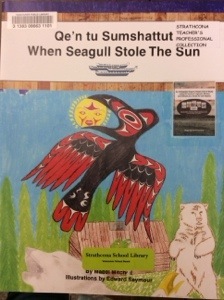 I plan to read the book above, learn from my colleagues, and try Story Workshop with some intermediate students. I am grateful to work with such amazing colleagues. 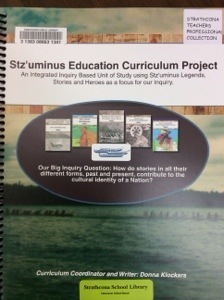 Based on six traditional legends from The Stz’uminus Nation on Vancouver Island, Donna Klockars has created this fabulous inquiry unit.